This small Museum and Heritage Centre and new Carriages Tea Room houses artefacts, photographs, maps, drawings and documents recording the history and traditions of the North Tyne Valley and Redesdale. 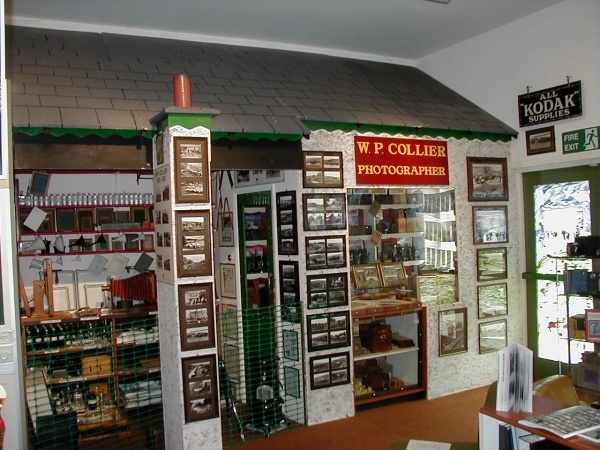 Displays include the Border Counties Railway, Border Reivers, WP Collier Photographer, mining, farming including the Stannersburn Smithy, heritage and oral history.. The Heritage Centre also provides public access to a computerised database of historic photographs as well as a database of local family names. There are a wide range of things for children to do from trying on a Reiver's helmet to playing the Sammy the Salmon videogame. The Centre holds a variety of events each year including special historical and art exhibitions, a vintage and classic vehicles weekend in April, as well as readings and performances by poets and musicians. The Heritage Centre is open daily from Easter to November. It is closed during the Christmas/New Year period.